A shag could be interpreted as a good or bad omen by Māori. The appearance of shags landing one by one on a rock in Lake Taupō was said to have preceded the death of the great chief Mananui Te Heu Heu Tūkino II, killed in a landslide in 1846. 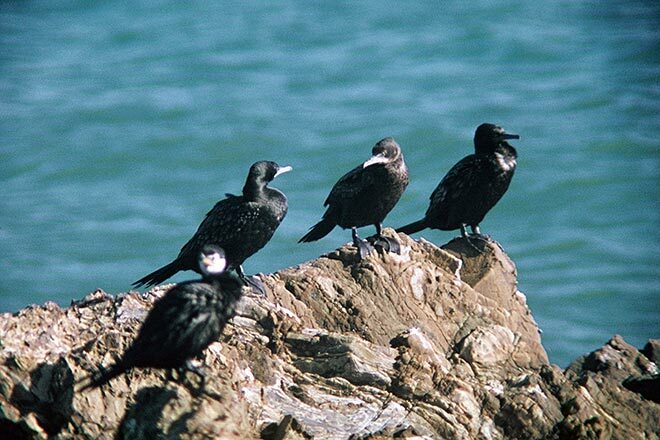 On this rock roost, three little black shags are perched behind a white-throated little shag.